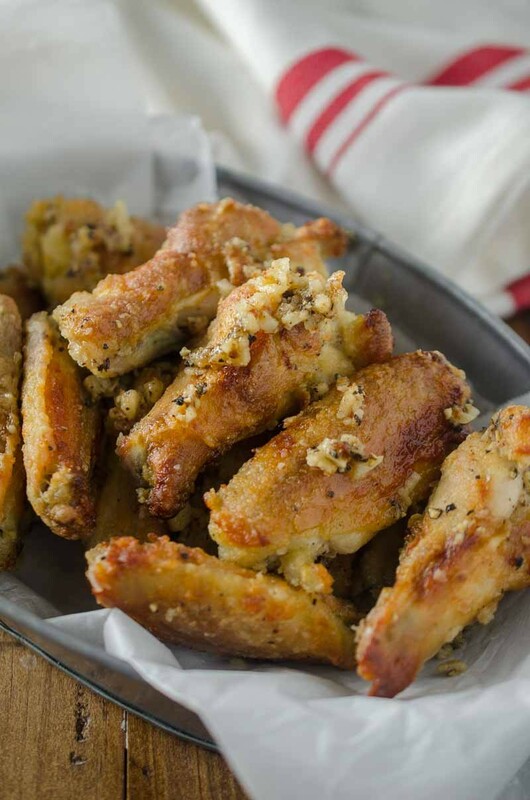 Garlic Pepper Chicken Wings are crispy, garlicky, peppery and oh so addictive. 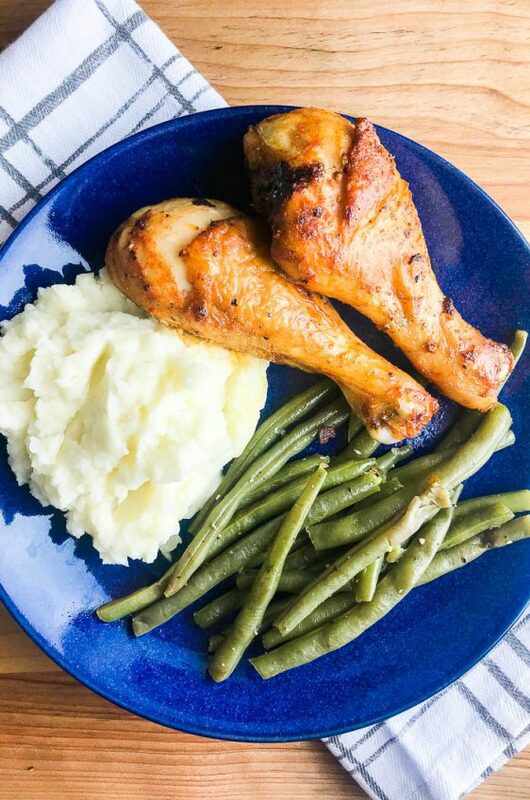 One of the first dinners that Ryan ever made me was chicken wings, because he knew how much I loved them. It was really sweet. I went over to his apartment after work and he was in the kitchen frying the wings. The first thing he said was “These are messy!” And he was right, grease was everywhere. But despite nearly burning his hands off as he tried to turn the chicken wings with a fork, he kept cooking them for me. After we finished the wings, I offered to do the kitchen clean up and from that point on I have always baked my wings. 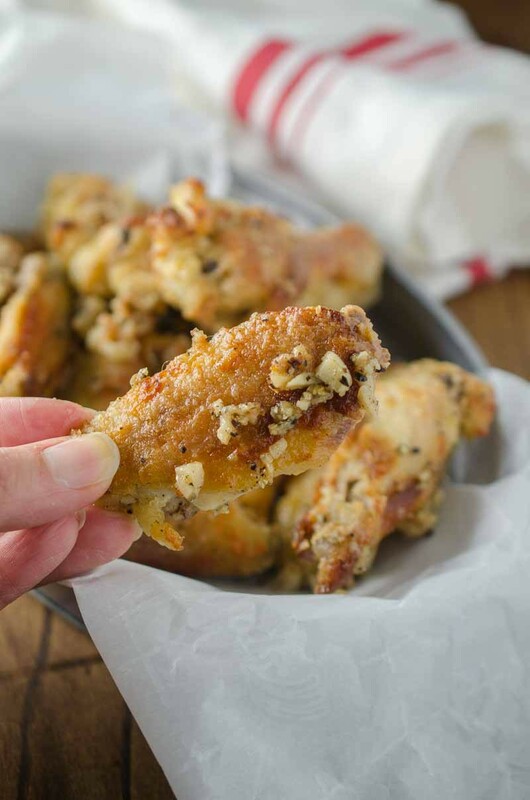 They still get just as crispy as fried wings but without all the mess. 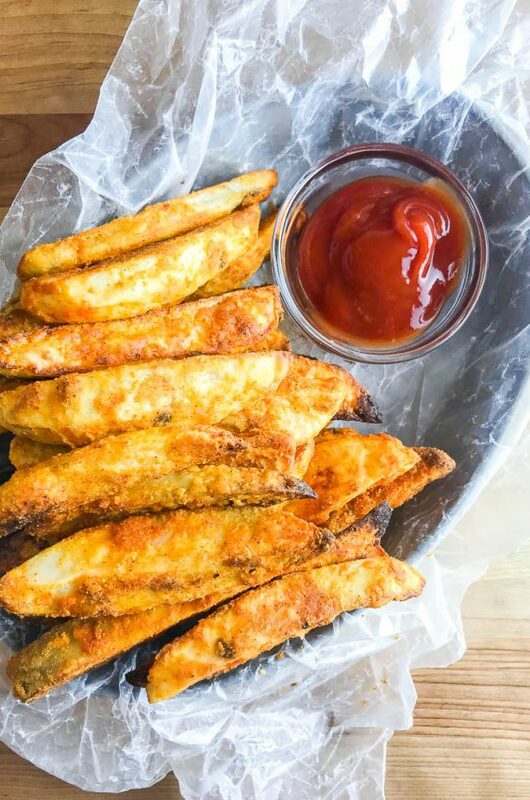 Less oil, less splatter but still crispy and golden brown? It’s a win all around! Whenever you hear the words “chicken wings” you probably imagine something like this. The red hot spicy wings that they have challenges for. These wings however, are a little different. 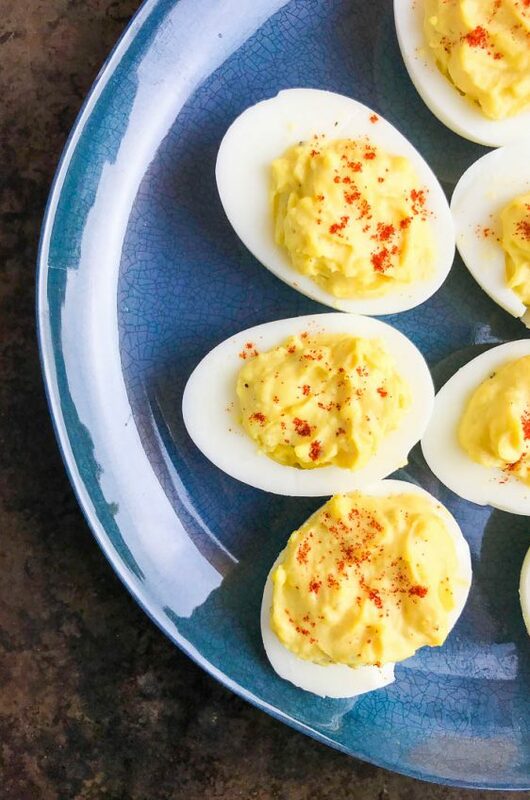 They are still quite addictive but instead of a spicy hot sauce they are coated in a tangy sauce full of fresh cracked black pepper and fresh chopped garlic. In the world of garlic lovers it doesn’t get much better than that. Am I right?! Preheat oven to 425 degrees. Line a baking sheet with aluminum foil. Set aside. In a bowl whisk together egg and milk. In a resealable plastic bag combine flour and seasoning salt. Dip wings in egg mixture then transfer to plastic bag and shake to coat. Transfer to a plate and allow to set for 15 minutes. 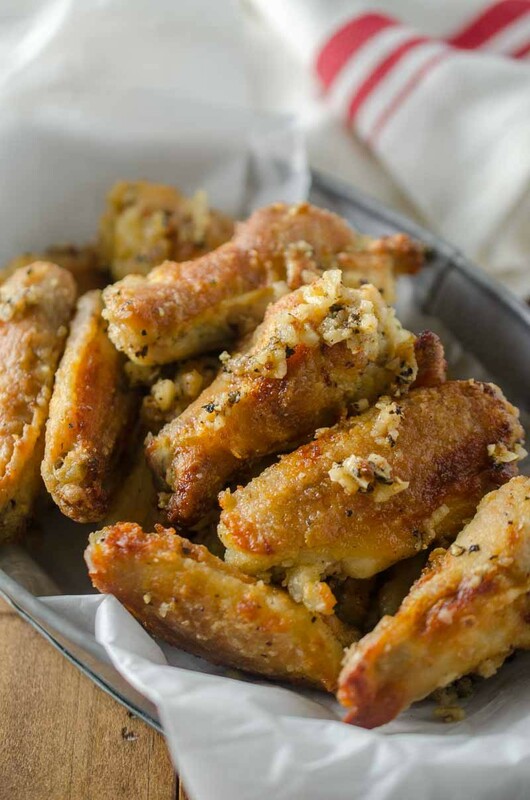 Place chicken wings on prepared baking sheet. Drizzle with canola oil. Bake in preheated oven for 20 minutes. Turn and cook for another 15 - 20 minutes or until browned and cooked through. Meanwhile, heat olive oil in a skillet over medium heat. Add in minced garlic and cook just until fragrant, 30 seconds to 1 minute. Remove from heat, add in white wine vinegar, pepper, kosher salt and garlic powder. Once wings are cooked, use tongs to transfer hot wings to bowl with garlic pepper mixture. Toss to coat. Serve hot. Don't forget the wet naps, despite the fact that they are missing the traditional red sauce, these can be quite messy. Or maybe its just when you pick up the left over garlic pieces with your fingers like I have a tendency to do. Enjoy! Hi! Off to try this one tonite! Looks amazing! Can I replace the white wine vinegar with something else? Hi Ayesha, are you looking to avoid vinegar all together or just white wine vinegar? If you are open to still using vinegar you can use white distilled vinegar. If you want to avoid vinegar you could sub lemon juice that way you will still get the acidity. These were so delicious! I was totally skeptical about how crispy they would turn out, as I have only used crumbs before to bread, never milk and flour. But wow!! 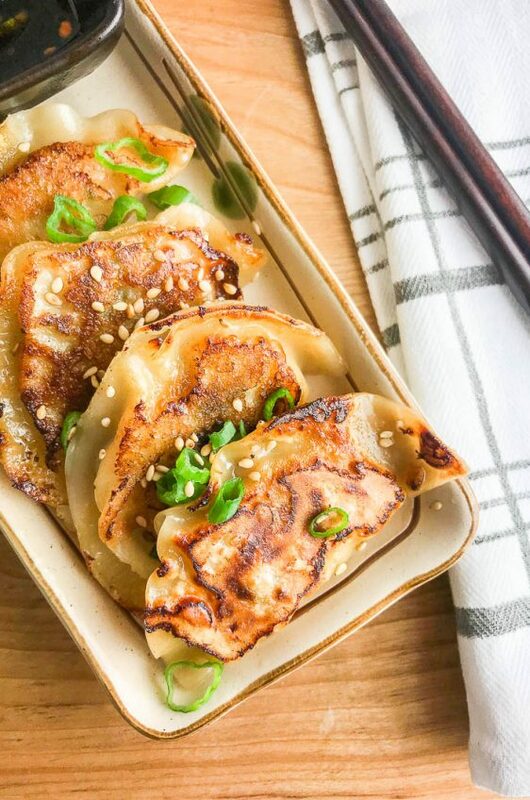 These were crispy and oh so good! may use this recipe without the salt. Yum! I just watched a pgm about making Salt and Pepper Chicken (a famous Taiwanese street snack) yesterday. And now, you made Garlic Pepper Chicken. Oh, I want some now. 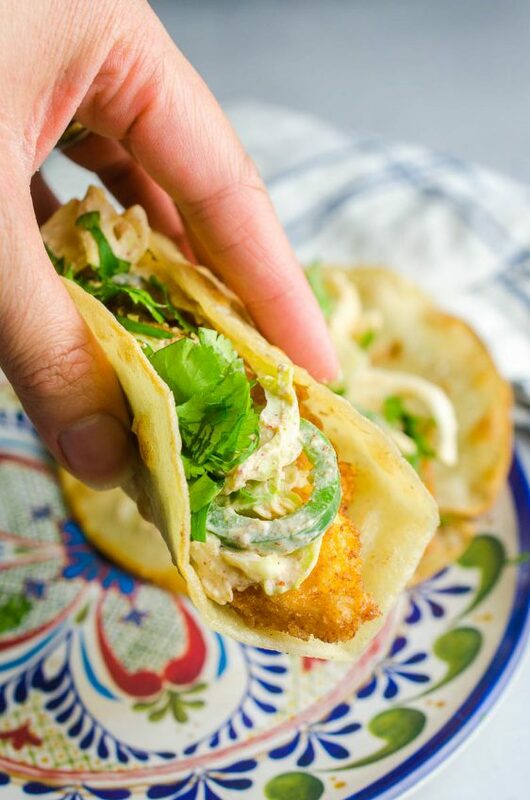 These look so much better than buffalo wings… awesome good! Great recipe. Am I weird for wanting on of these before 10 AM? They look so good! 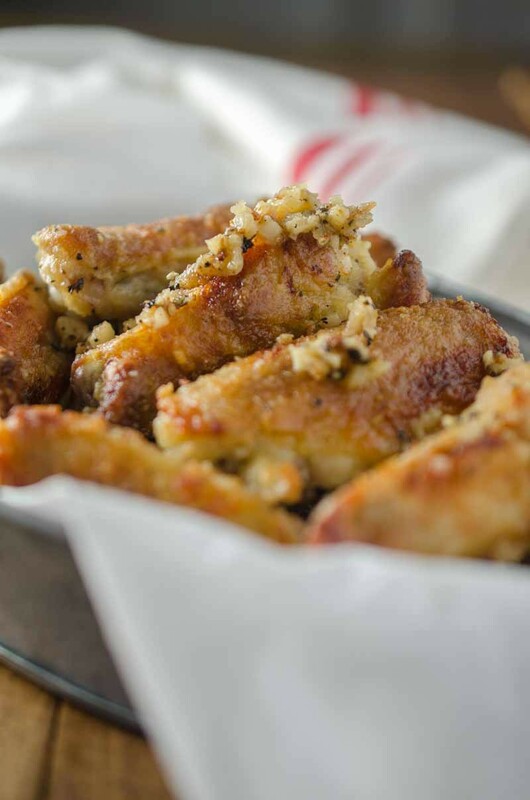 This is definitely next “to make” recipe when I’m in the mood for wings. O-M-G! 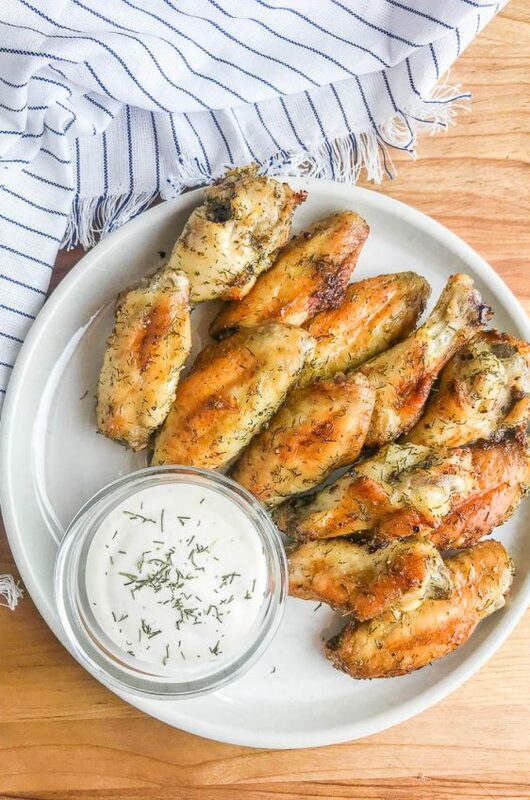 These wings look so good! Wow. Merry Christmas Des!! I’m so excited that I found your blog earlier this year. Those chicken wings sound really delicious and loaded with lots of flavor, I’d be picking up the garlic pieces as well! Merry Christmas to you and your family Des! Thanks for all your yummy recipes you’ve shared this year!